As a part of Prime Minister Narendra Modi’s ‘Swacch Bharat’ campaign, schools across the country were urged to bring awareness to the importance of personal and environmental cleanliness, sanitation and hygiene. Isha Home School students and teachers participated in their own way to commemorate Gandhi’s contribution to nation building. The morning began with a special joint assembly that included dances choreographed and conceptualized by visiting artist Sanjukta Wagh. Sanjukta has trained extensively under Guru Smt. Rajashree Shirke in Kathak and under Pt. Murli Manohar Shukla in Hindustani Music. She has worked in the field of Classical Dance for several years as a leading performer, assistant choreographer, teacher and researcher. Her dance-theatre productions and solo performances have been appreciated by dance connoisseurs and audiences from across the country. She holds a Diploma in Dance Studies from the acclaimed Trinity Laban Conservatoire of Music and Dance in London, which has further refined her form and approach. She also holds a Bachelor’s and Master’s degree in English Literature. Given her passion for literature, theatre, dance and music, she founded ‘Beej’, an interdisciplinary initiative for performance and movement research. This interdisciplinary approach was refreshingly evident in the morning program.The first item was a kathak piece dedicated to the Goddess of Knowledge – Saraswati – as this day happens to fall during the Navaratri festival. The second piece was an expressionistic piece by Senior dance students, set to ‘Vaishnava Jana To’ – one of Gandhiji’s favourite bhajans. Students created their movements based on their readings and interpretations of Gandhiji’s principles of ahimsa and satyagraha and the Swadeshi Movement. Following the performances, students were informed about the nationwide ‘Swacch Bharat’ campaign and their partaking. Post-lunch, all members of the school participated in a school-wide super-clean up. 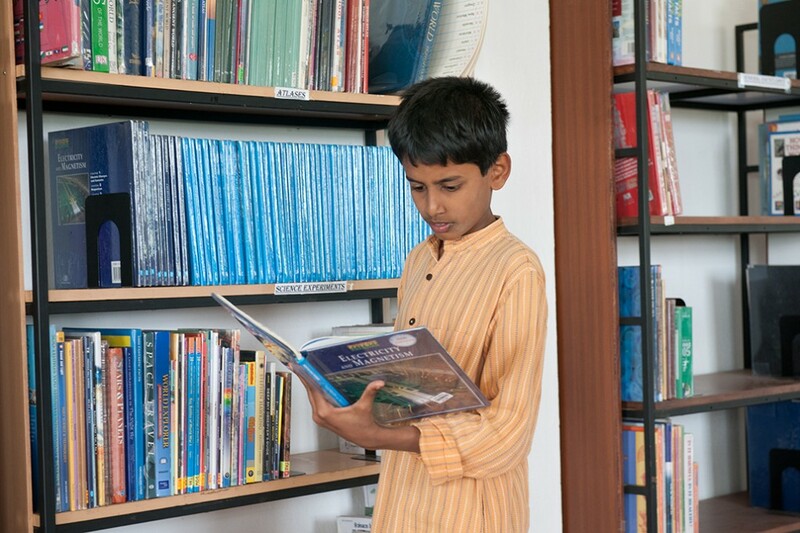 One of Isha Home School’s main objectives has always been to inculcate a sense of responsibility and ownership within every student towards his/her surroundings. 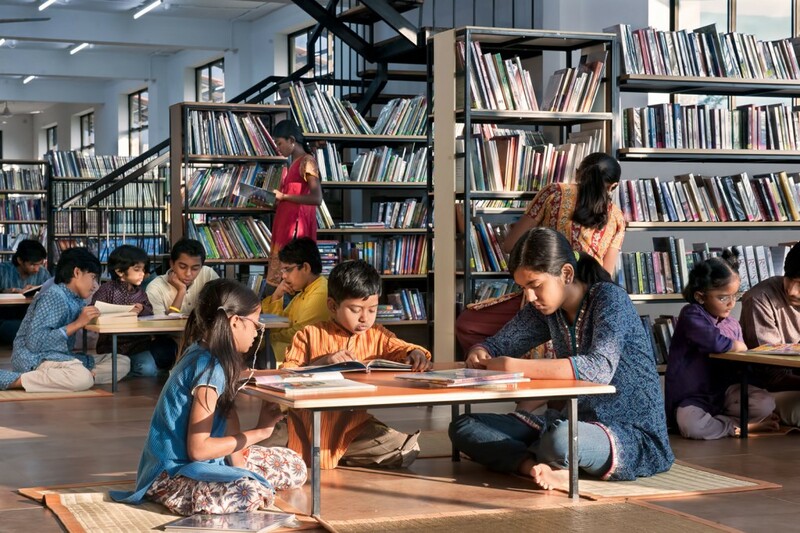 For this special day, teachers and students decided to go into every nook and corner of the school, cleaning their classrooms, labs, work-spaces and houses. The students even went into the worksheds and store-rooms, which are usually maintained primarily by the Sevadhars. They went through all the material, sorted things out and gave the rooms a thorough clean up and reorganized all spaces. Towards the evening, all gathered at the Gnana Shala gardens and were treated to a special snack of freshly made hot sabudana vadas and jaljira, before retiring to their spruced up spaces. IHS students were fortunate to meet renowned veteran experimental materials scientist Dr. Shanmugam Aravazhi, who is currently Senior Manager at Crystal Growth Research & Technology in Antwerp, Belgium. Dr. Aravazhi is an expert in crystal growth with over twenty years of experience in growing both bulk crystals & thin films using the Czochralski pulling technique. Dr. Aravazhi gave an overview of the process of crystallization and the application of crystals in cutting edge technology. He shared about his lifelong passion for physics and his educational and professional journey. Over the past few years, the Model United Nations (MUN) programme has become an increasingly popular elective at IHS. 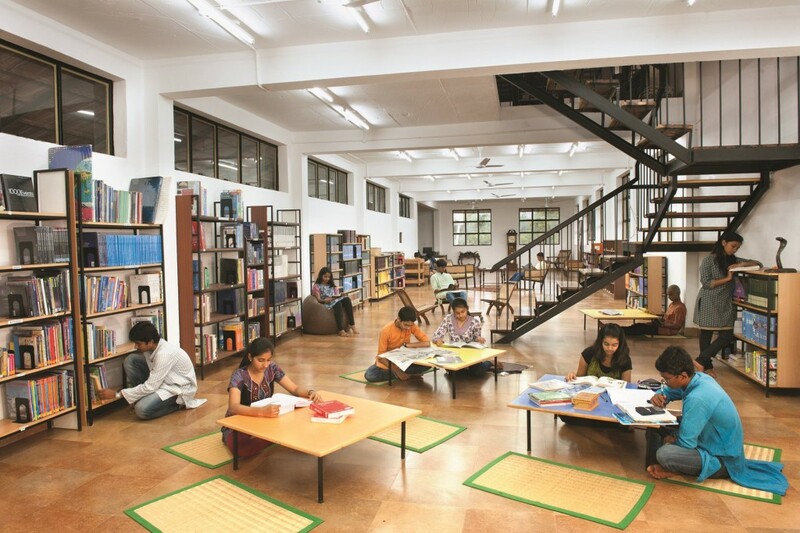 It provides a unique opportunity for students to develop their political awareness in addition to acquisition of skills in presentation, debate, teamwork etc. “MUN was an eye opening experience for me. We attended the MUN hosted by Sishu Griha in Bangalore as a spectator. The conferences lasted two days. We were quite fortunate to have the opportunity of observing the different committees in this MUN. It was our first time watching an MUN committee in action. The conference was fast-paced and most delegates were well-informed on their subjects. The passionate speakers stood apart from the rest, as they conveyed their views more effectively than others. The delegates were aware of the latest proceedings surrounding the topic and seemed to have dedicated a lot of time researching. We found the Security Council to be among the more interesting committees. The Security Council focused on the Ukrainian issue and possible solutions that could resolve the issue. Through a discussion, the delegates delved deeper into the various aspects of the issue. The number of delegates varied in each committees ranging from 20 in the smaller committees to 60 in the larger ones. The committees with fewer participants seemed provided a deeper experience to participants. Attending such conferences elevates the understanding of different subjects and provides exposure to various global issues. It also helps participants think of possible solutions. 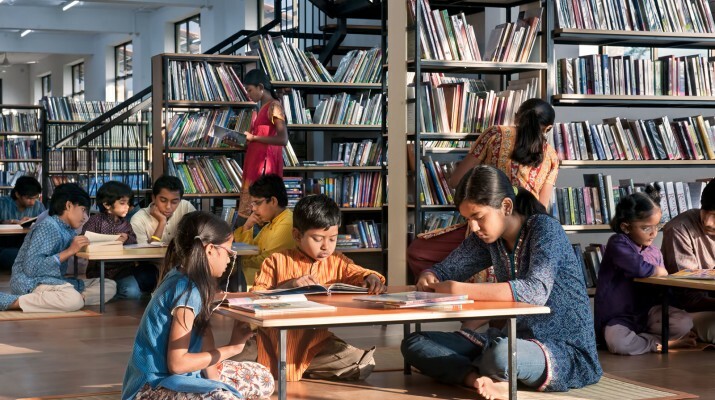 The library lies at the heart of the Senior School Learning Center and consists of a three story facility with a spacious, well ventilated reading environment. 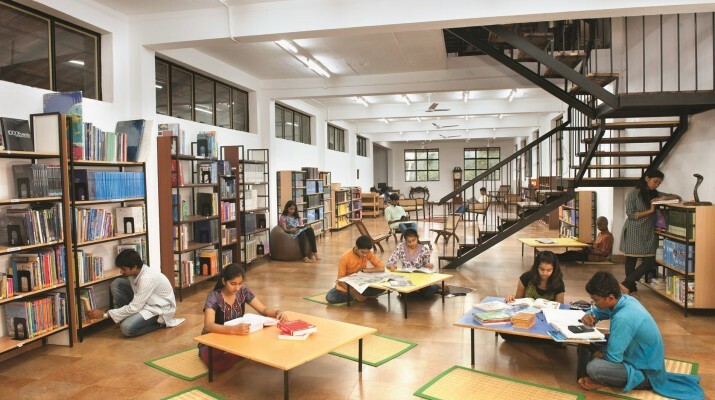 The library maintains over 40,000 books and multimedia resources which are available to both students and staff. 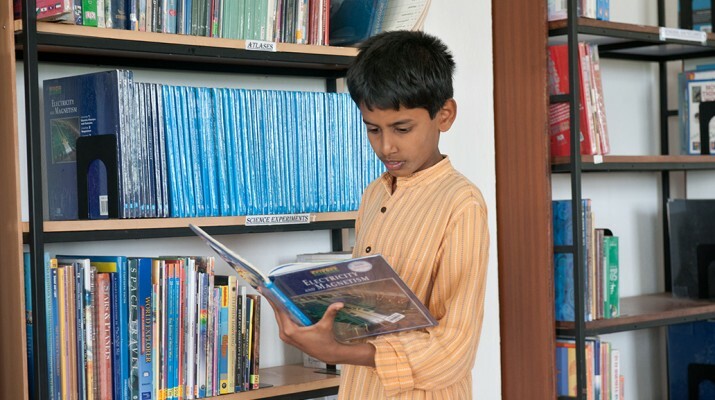 Students are actively encouraged to use the library for independent study and research.